Finally, a remedy that your pup won't mind having rubbed on their nose and paws! Ahh, coconut oil. It smells like a tropical island, and it can be used for just about anything. 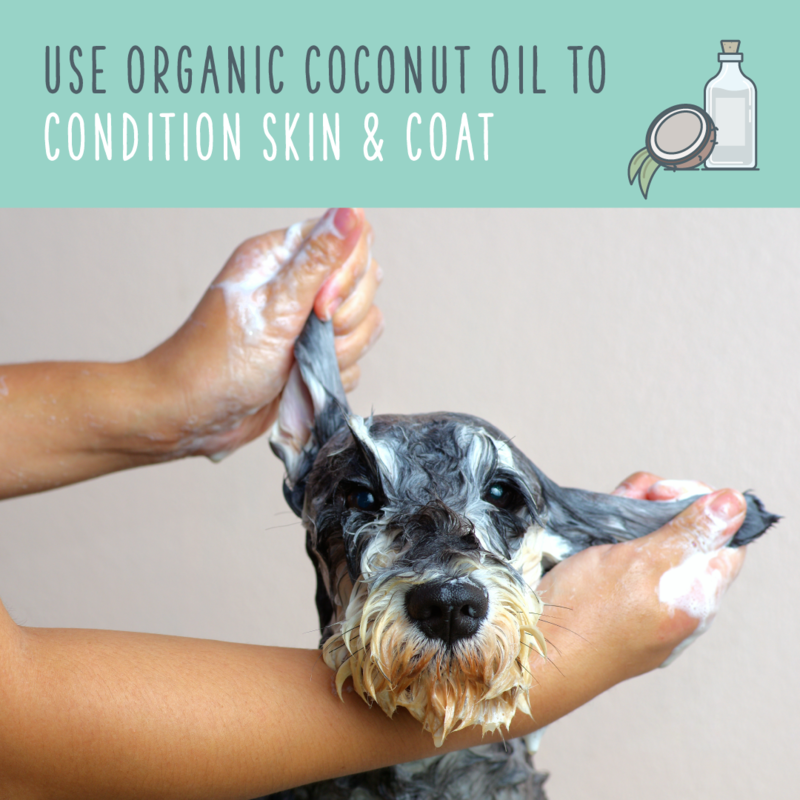 We’ve already discussed the ways that raw, organic coconut oil can change your skincare and beauty routine, and now we’re going to show you how to use coconut oil for dogs. 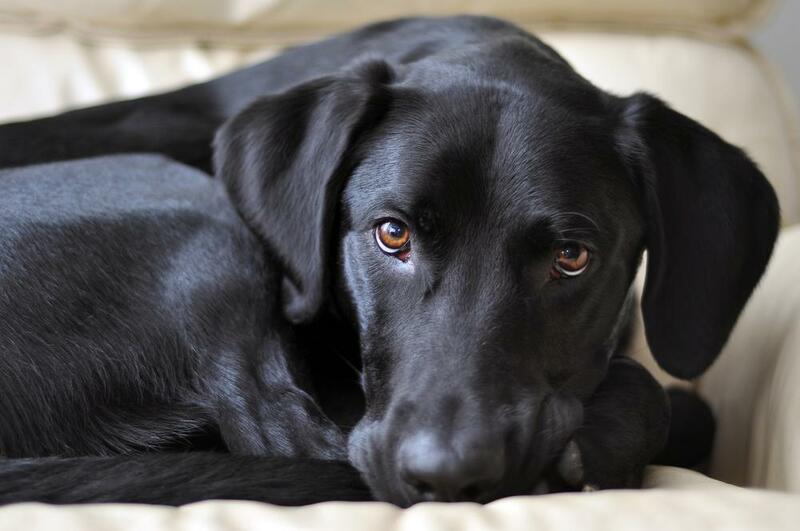 The same nutrients that benefit the human body also have great benefits for our furry friends. While you should always take your pup to the vet if they're dealing with tummy problems or skin issues, natural remedies can help your furry friend between appointments. Follow these tips and use Mother Nature's cure-all: coconut oil! 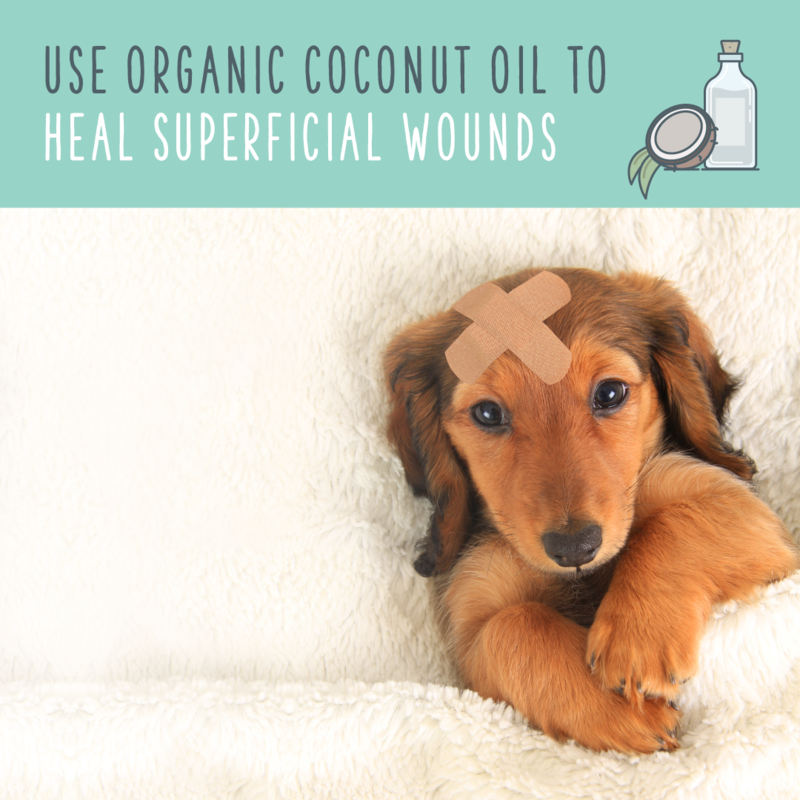 Coconut oil can be incorporated into your pup’s diet, or used as a topical ointment. There are a few general guidelines to follow when feeding coconut oil to your pooch. If you’re adding it to their diet, consult their vet first. Once the V-E-T gives you the go-ahead, feed them a small dose and monitor their behavior for a few days before heaping it into the food bowl. 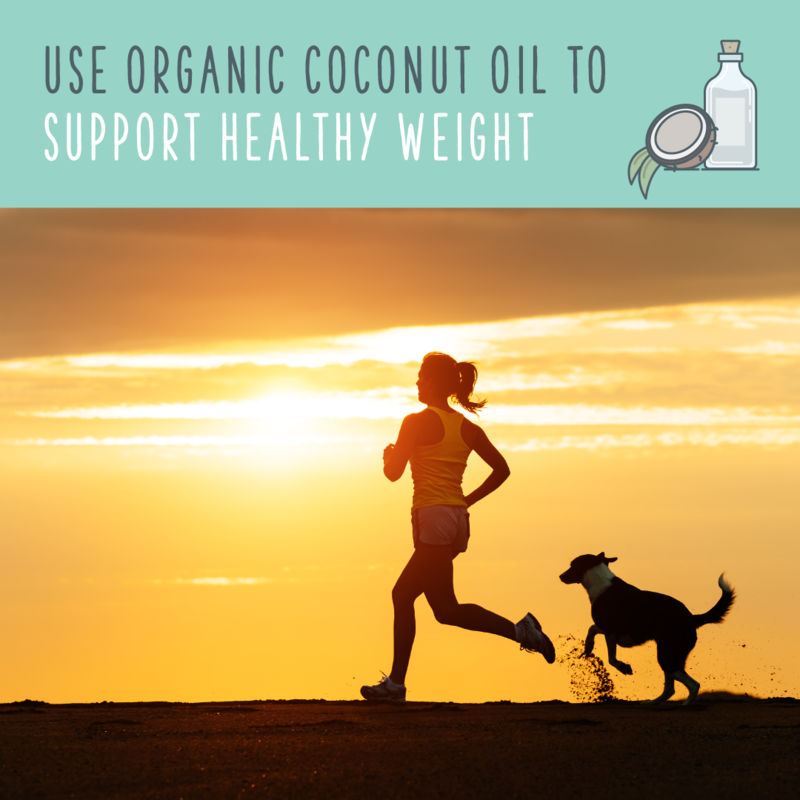 Whether you’re feeding them directly off the spoon or mixing coconut oil in with their food, stick to this ratio: 1 teaspoon per 10 lbs or 1 tablespoon per 30 lbs. Just because coconut oil soothes your skin immediately, doesn’t mean your pup will have the same results. Perform a patch test to see how their skin reacts to coconut oil before applying it to their sensitive nose or giving them a head-to-paw rub down. The best part of using coconut oil for dogs is that it’s completely safe for them to ingest when they inevitably lick it off! 1. Prevent Hairballs. Sadly, the regurgitated glob of stomach bile and hair on your comforter does not mean that a cat broke in to spit up on your bed. Certain breeds — particularly those with medium to long hair — are known for having feline tendencies, such as consistent self-grooming. Dogs can also lick their paws due to anxiety, dryness, or itching, which leads to swallowed furballs. Normally, the swallowed fur passes through the digestive system — but if it’s too big, it’ll need to come out the other end. As gross as it may be to have your pup spit up a hairball, it’s better than the alternative: having the hairball surgically removed from their digestive system. Dangerous hairballs that could cause a blockage in the digestive system are often accompanied by constipation, diarrhea, loss of appetite, and lethargy. These symptoms can be related to other ailments, but if your pup is frequently spitting up hairballs, it could be symptomatic of a more serious problem. If it’s been 24 hours or more with your dog unsuccessfully gagging or coughing, go to the vet immediately. Medium chain triglycerides (MCT) in coconut oil help improve digestion and nutrient absorption, and as a bonus, they act as a stool softener so that the hair glob can pass naturally. 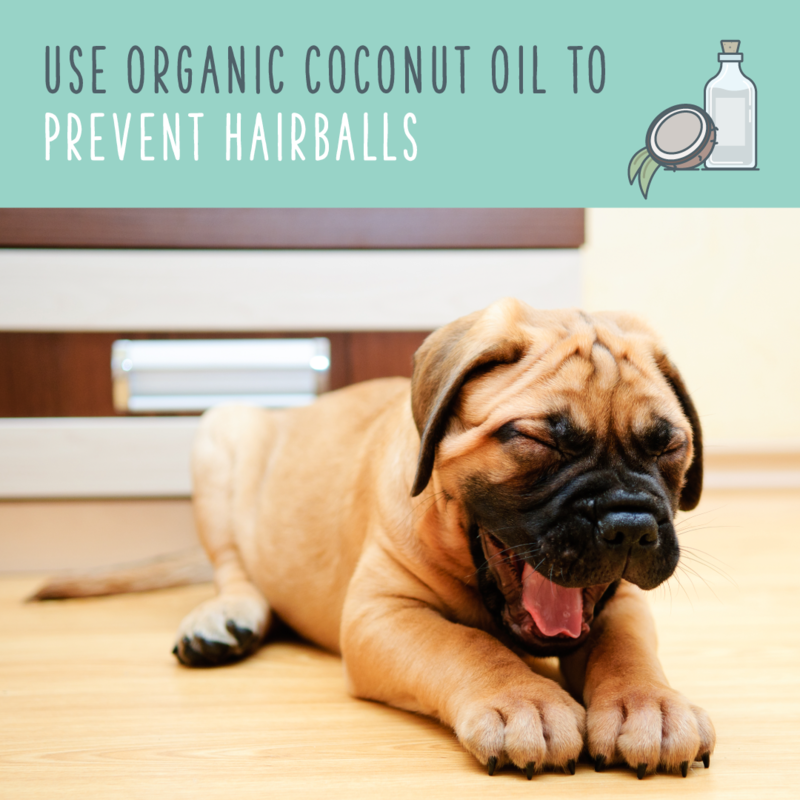 To use coconut oil for dogs with a hairball problem, you can either add a small dose to their food (follow ratio above) or incorporate it into homemade treats. 2. Soothe Dry Noses. Dogs take in the world through their nose. Beyond their heightened sense of smell, their nose is also an indicator of their general health. If your pup’s snout is dry, cracked, flaky, runny with thick mucus, above or below their normal temperature, or scabbed, it can signify a problem. If you notice any of those symptoms, go straight to the V-E-T.
After you rule out the possibility of a serious issue, you can use a dab of coconut oil to moisturize their snout. Oftentimes, a dry nose can result from low humidity or excessive licking, so a small swipe of Mother Nature’s lotion will help! 3. Make Healthy Treats. 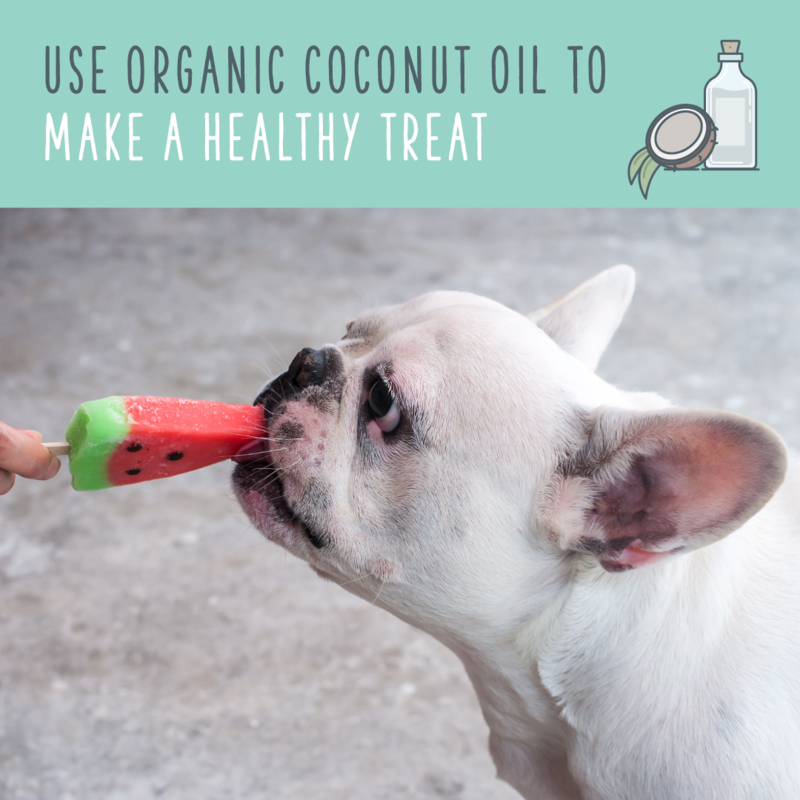 Use this coconut oil for dogs in this pupsicle recipe to give your pup a refreshing, nutritious treat! You can also add a small amount into their dog food. Again, please remember to start with a very small dose, and monitor their behavior before upping the dosage. Once they are adjusted to the coconut oil with no side effects, remember the ratio: 1 teaspoon per 10 lbs and 1 tablespoon per 30 lbs. 4. Soothe Hot Spots Coconut oil has tons of natural healing properties that sooth dry, irritated skin. The lauric acid found in MCTs has antibacterial, antiviral, and antifungal properties, which can help not only soothe a pup’s hot spot, but also heal a rash or fungal infection that could be be causing the itching and chewing. To apply coconut oil, rub a small amount in your palms. Make sure it’s thin enough that it won’t pull or mat their fur, and gently rub along the affected area. They might start licking (because it’s so yummy! ), but that’s OK. Allow the coconut oil to sit for five minutes, and then rinse thoroughly. If they have a thick or long coat, you may need to use a bit of gentle shampoo to completely wash the oil out. 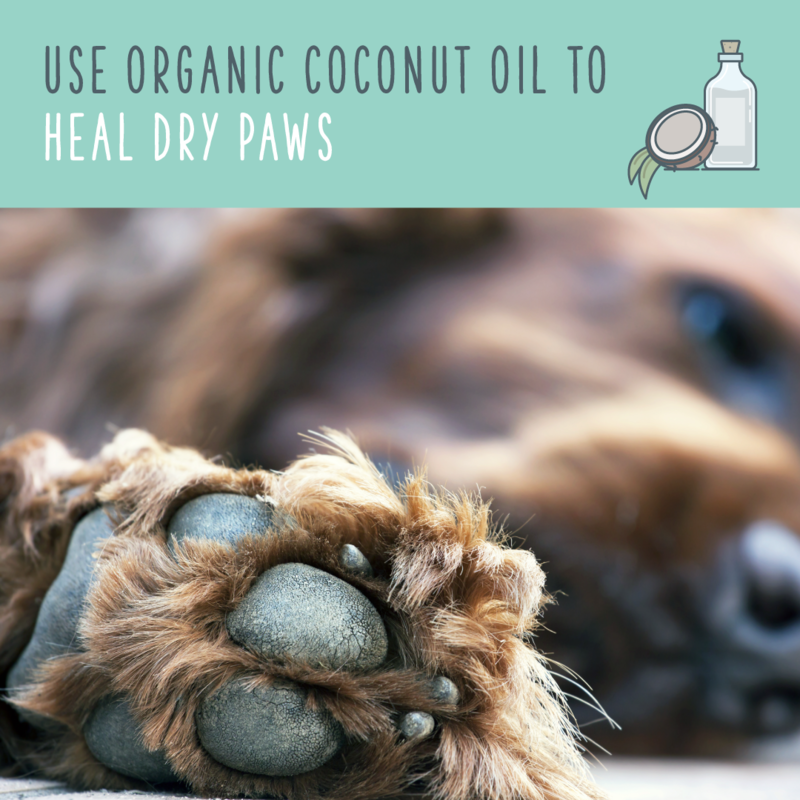 If your pup seems to be riddled with dry, itchy patches, you can incorporate coconut oil into their diet to do the same job from the inside out! 5. Heal Dry Paws. Your four-legged friend has tough, calloused paws meant to endure the harsh conditions they face in the wild. They may not be roughin’ it in the wilderness, but hot pavement, icy sidewalks, and other irritants are still constantly building up on their paws. If you notice their paws are visibly cracked and dry, you can use a touch of coconut oil to soften them up. 6. Condition Skin And Coat. The lauric acid found in coconut oil also works to build immune systems — whether it’s ingested or applied on the skin. 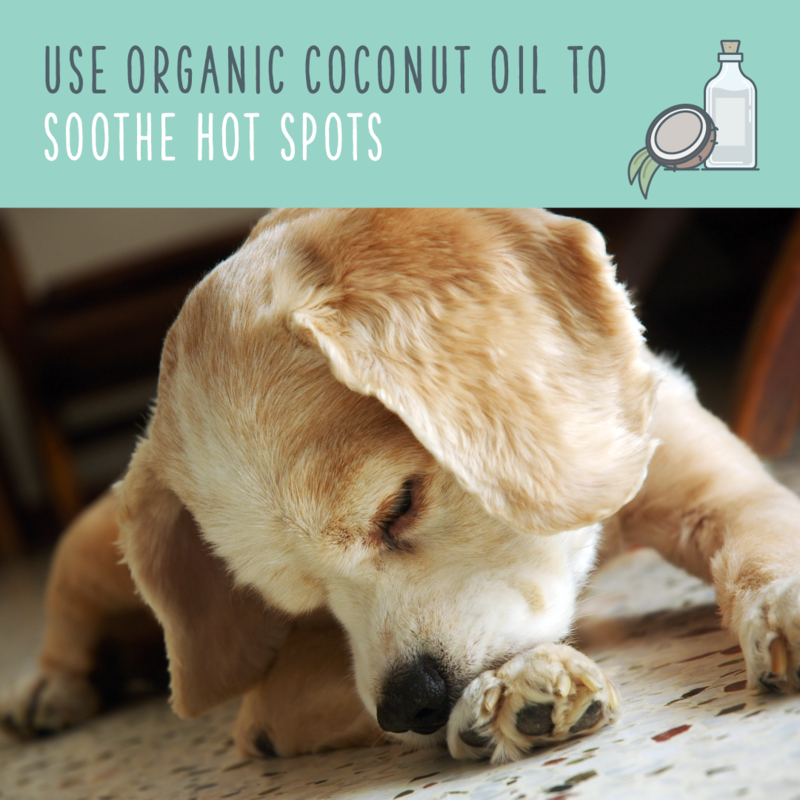 To condition with coconut oil for dogs, simply follow the same protocol for applying it to hotspots — except this time, you can slather it all over your pup! Gently rub the coconut oil into the fur so that it reaches the skin, and leave it on for five minutes before rinsing. Don’t forget their paws and nails, too! If their fur still feels oily, add a bit of shampoo and rinse again. You can do this once a week to make their skin and coat super soft and healthy. 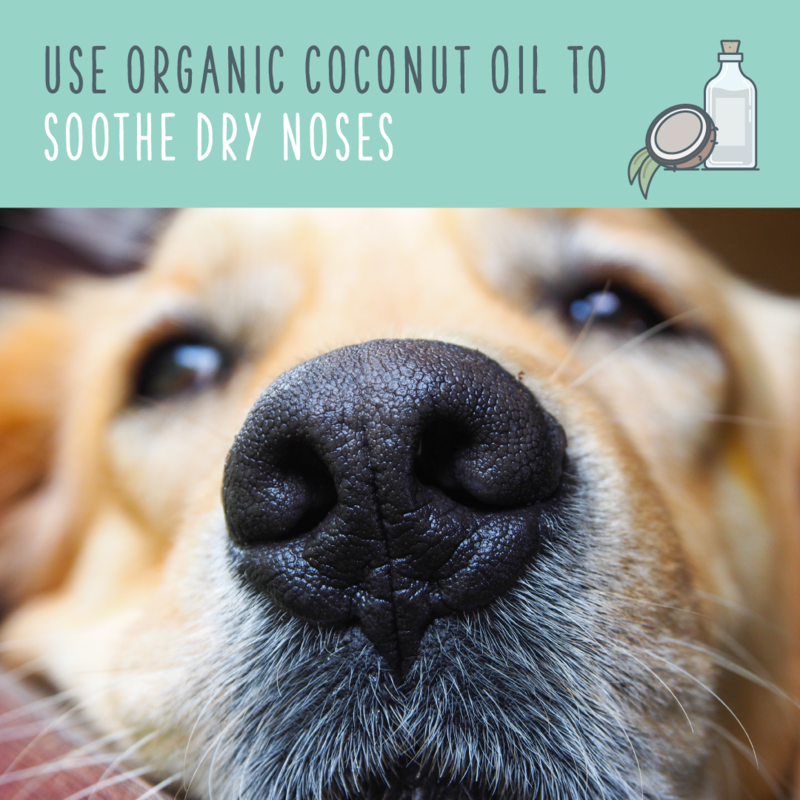 As an added bonus, coconut oil also helps reduce odors! A coconut oil treatment will leave your dog's skin incredibly soft, but it will also make it healthier. A coconut oil skin treatment about once a week can make a big difference in the health of your dog's skin and nails. 7. Heal Superficial Wounds. The antibacterial properties in raw coconut oil can disinfect and speed up the healing process for minor cuts and wounds. Combine ingredients in a bowl and mix thoroughly. You’ll need to store the paste in the fridge, but it needs to be soft to use, so place the container in a pot of warm water to soften. Once the toothpaste is ready to go, you can use a gentle toothbrush or your finger to gently massage onto your pup’s gums and teeth. 9. Improve Nutrient Absorption. The antioxidants in coconut oil help your pet absorb other nutrients and minerals from their regular food. Think of it as an added boost to the vitamins that are already present in their diet. Coconut oil also helps rid their body of toxins and bacteria! 10. Support Healthy Weight. Whether your pup is the king of naptime or getting lazy in their old age, being overweight is the root of a number of preventable health conditions. 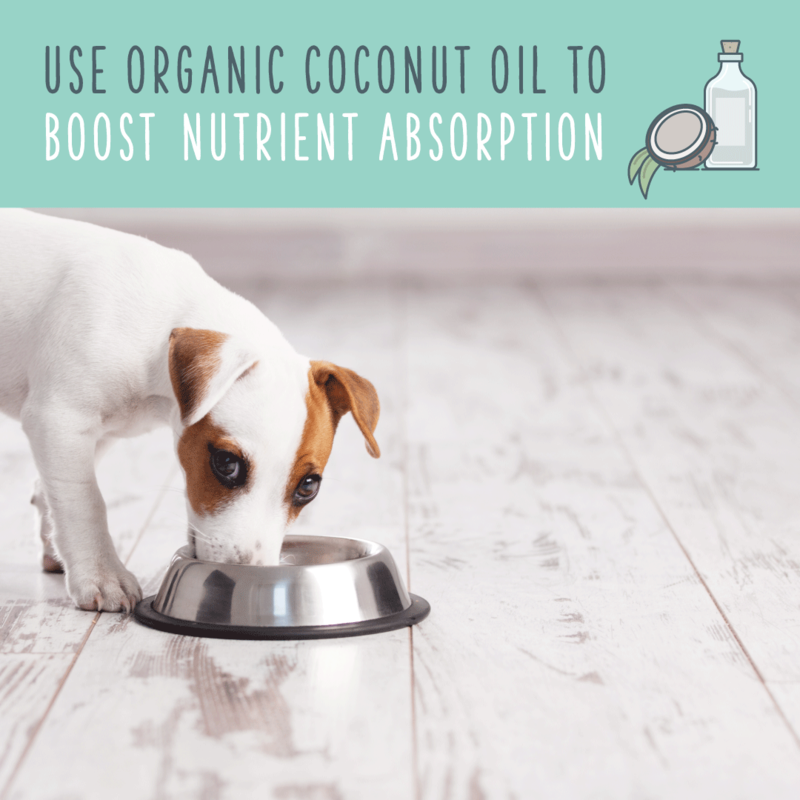 By adding coconut oil to your pup’s diet, you are providing them with those magical MCTs, which are easily metabolized to give your dog extra fuel and energy. The MCTs also help balance out the thyroid, which can boost their weight loss and energy levels. More energy means they’ll want to get up off their doggy bed and play, which is a huge part of maintaining a healthy weight for dogs. 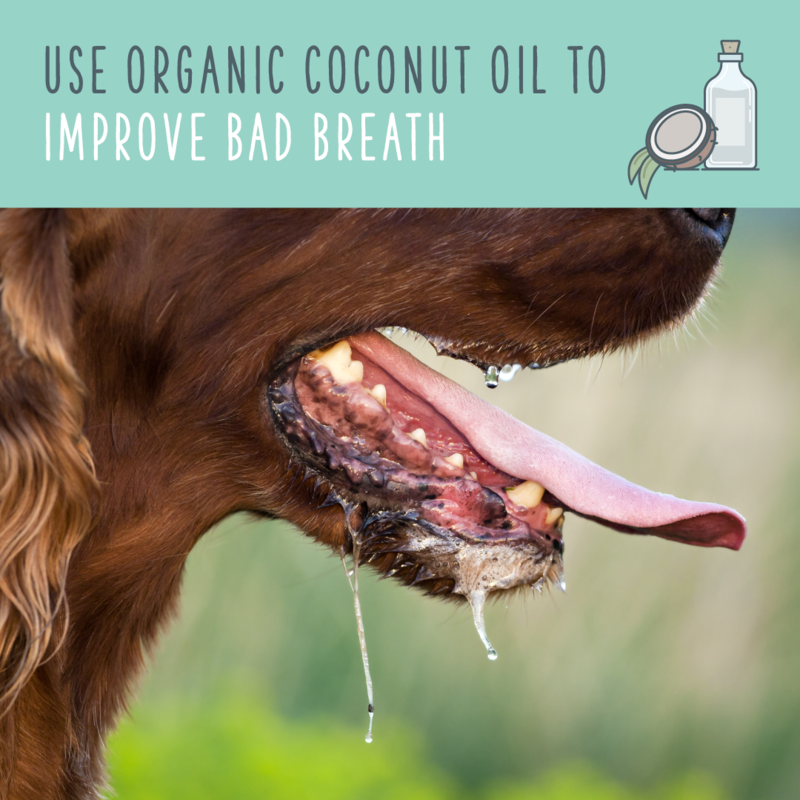 Do you use coconut oil for dogs? Share your favorite natural remedies for pets in the comments! "If you’re adding coconut oil to your pet's diet, consult their vet first." An Indiegogo campaign can do incredible things. This Halloween, pay it back to the bats. Thank them for everything they’ve given us. Tequila. Chocolate. Batman.